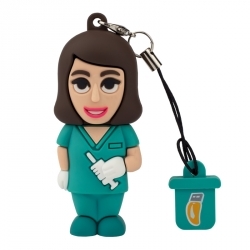 ProfessionalUsb® pendrives for professional nurses! 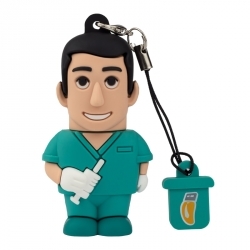 The USB pendrive "Nurse”, in both male and female version, is the ideal gift for nurses. Perfect for work and spare time. A original and funny gadget that can be a useful and cheerful gift idea. All ProfessionalUsb pendrives are hand-designed, making them extremely original, easy-to-use and funny to show off for their original design!